Get Your Name in Paul’s New Book! UPDATE: This offer has now closed. My thanks to all who signed up. Missed out? There are still plenty of good reasons for signing up on Patreon. My new book, Letters from Jesus: Finding Good News in Christ’s Letters to the Churches, comes out in ebook format in two weeks. And if you act fast, your name could be in it! It’s about letters. From Jesus. Did you know that Jesus sent seven letters from heaven? Many people haven’t read his letters and those who have are terrified of them. Did Jesus really say he would vomit us out? Why is he holding a sword? His eyes are aflame – is Jesus angry with me? Will he remove my name from his book? If you love Jesus but are afraid of his letters, something doesn’t add up. But what? Could it be that we have been reading his letters wrong? It is my conviction that the letters from Jesus are good news from start to finish. They are seven unqualified revelations of the extreme goodness and radical favor of God. Read these letters wearing Son-glasses and you will find grace upon grace. They are amazing! “Wow! Wow!” ~Tricia Gunn, author of Unveiling Jesus and founder of Parresia. Sounds good. When can I get the book? Letters from Jesus comes out on Kindle the week before Christmas 2018. The paperback version will come out at Easter 2019. How do I get my name in Letters from Jesus? Simple: sign up as a supporter on Patreon before December 7, 2018. Patreon is the crowd-funding platform that enables me to write fulltime about the grace of God. Patrons are partners and I plan to thank them in my book. Why should I put my name in your book? Because more people will hear the good news if you do. Patreon enables me to give books away (20,000 and counting). Patreon is why everything on this website is free. People pay big money to get their names in a Lee Child thriller, but you can get your name in my book for next to nothing. For as little as a dollar a month, you can become a partner in this message. And if you contribute a little more, you’ll get a bunch of exclusive patron-only rewards (e.g., draft chapters, Q&A sessions, bonus materials, exclusive articles, insider access, giveaways, sneak peeks, signed books, etc.). 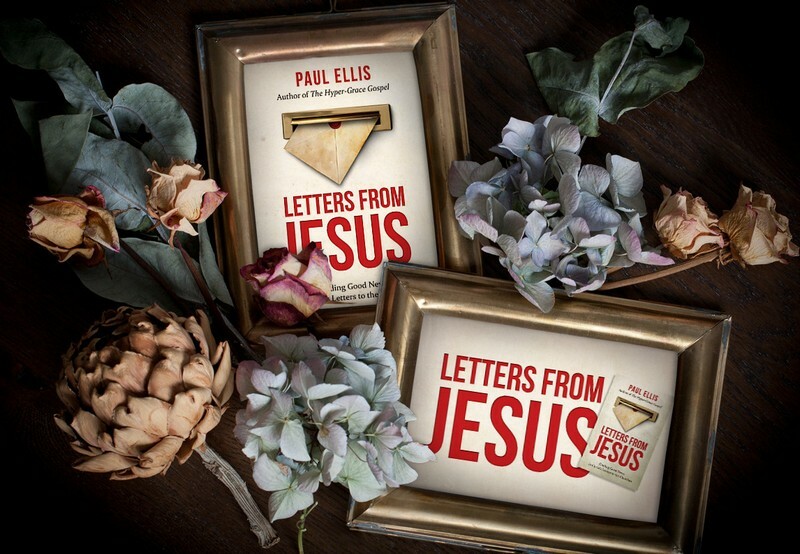 Patrons who sign up at the $10 level or higher will get an advance copy of Letters from Jesus on Monday, two weeks before the rest of the world. Patrons get everything first. Patreon is easy to join and easy to quit. You can cancel at any time. Letters from Jesus is a radical book, full of unexpected good news. I want everyone to hear the good news message in this book, so here’s the deal: For every dollar raised in the next few days, I will give away one book. If you sign up to give $10/month, I’ll give away 10 books. Sign up at the $50 level and that’s 50 people who will hear the good news because of your investment. I am not passing the hat and if you listen carefully, you will not hear any mood music. This is a dry-eyed invitation to get involved in one of the most exciting gospel ventures on the planet. My patrons and me are getting the gospel of grace into every country on earth. Patrons are also part of the creative process. They help me pick titles and book covers. They provide feedback on early drafts. If you’d like to be a part of the fun, join us. But be quick. The opportunity to get your name in the book ends December 7, 2018. 9 Comments on Get Your Name in Paul’s New Book! Congrats mate. When you’ve written your next book The Lamb’s Book of Life, let me know. I may consider paying to get my name written in that one. Blessya big. Trust this book hits home for many. Thanks Chad, and thanks for all the feedback on the book. I look forward to reading this, I’ve mostly stayed away from the book of Revelations because I just wasn’t interested in the way it’s being preached…. Will already existing patreon supporters be getting a copy Monday, or should they order one? Thx! Hi Helen. Please see this post. Paul Ellis is one of the most gifted writers in the world. I haven’t seen any new emails in 2019.